Switzerland does not really have to be described; everyone has some kind of image of this alpine country. Be it the mountains and lakes, the culinary delicacies or its famous products.There are over 450 different kinds of cheese, many of them still produced in family owned dairies. Besides typically Swiss dishes such as “Rösti” and “Zürcher Geschnetzeltes“, many dishes have been influenced by the traditional cuisine of the neighbouring countries. Switzerland has a wide variety of beautiful and authetic accommodations to offer. From mountain retreats to boutique city hotels and traditional guesthouses to world famous luxury hotels. 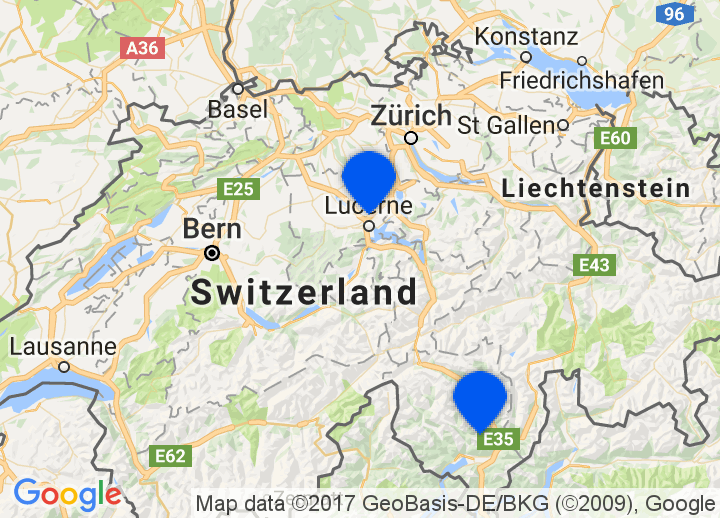 Switzerland can be divided into three distinct geographic regions, the Jura, mid Switzerland and the Alps, which cover over 60% of the country. As diverse as the landscapes are the travel destinations: from the renowned ski resorts in the Wallis, the Bernese Oberland, Graubünden and the Engadin to the mild, almost Mediterranean climates in the Ticino and on Lake Lucerne.